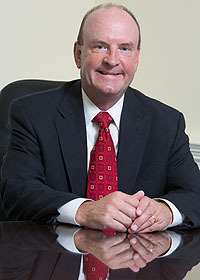 Dermot J. Doyle has been a licensed and practicing attorney in the State of New Jersey since 1984. He graduated from Boston College with a B.A. in English in 1980, and thereafter attended the University of San Diego School of Law, where he was a member of Law Review and graduated in 1984. His practice primarily involves the representation of insurance carriers and their insureds, both with respect to the defense of automobile and property claims, as well as affirmative subrogation actions. Dermot represents major international insurance carriers, specialty insurance and subrogation groups, as well as governmental self-insurance funds. In addition to his insurance practice, Dermot has also successfully handled many serious personal injury and medical malpractice claims on behalf of individuals as well as litigated commercial and estate matters, estate planning and administration, land use and real estate transactions.